John McInnis Auctioneers held an auction of John F. Kennedy memorabilia on February 17, 2013, with some great results and one stunner. 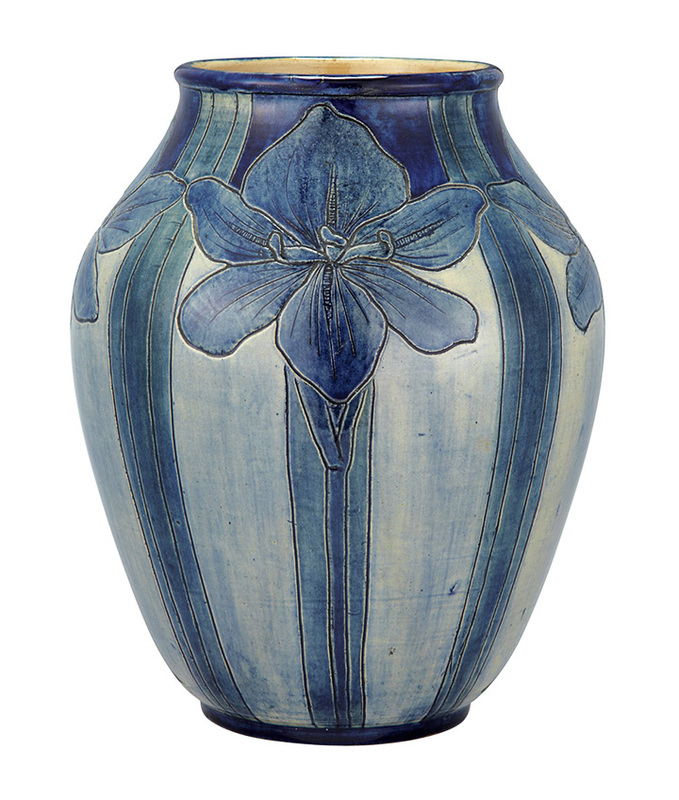 The collection was from the estate of David F. Powers, a friend, aide and advisor to the president. 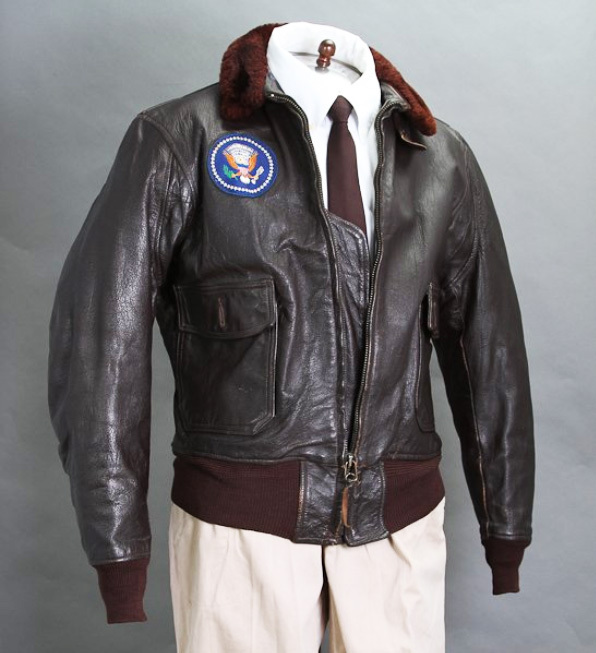 JFK’s personal leather bomber jacket, with the Presidential seal, sold for an incredible $655,550, against a pre-sale estimate of $20,000 – $40,000. 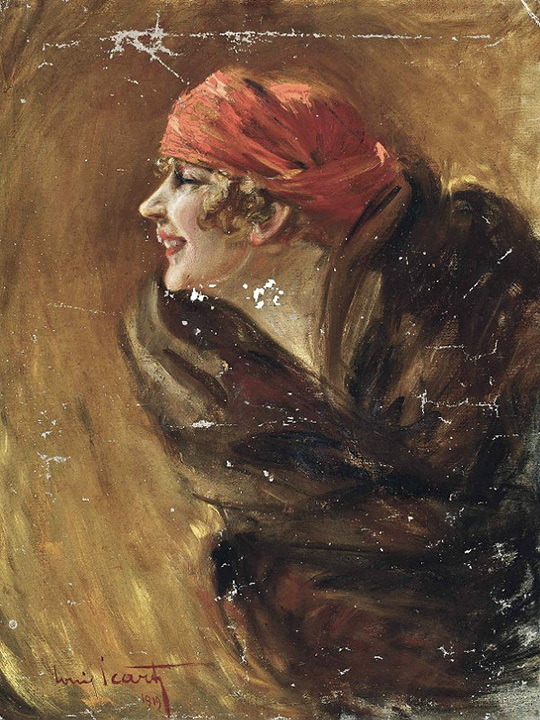 The bidding opened at $40,000, then flew past an Internet bid of $300,000 to finally end at $570,000 (excluding the buyer’s premium). 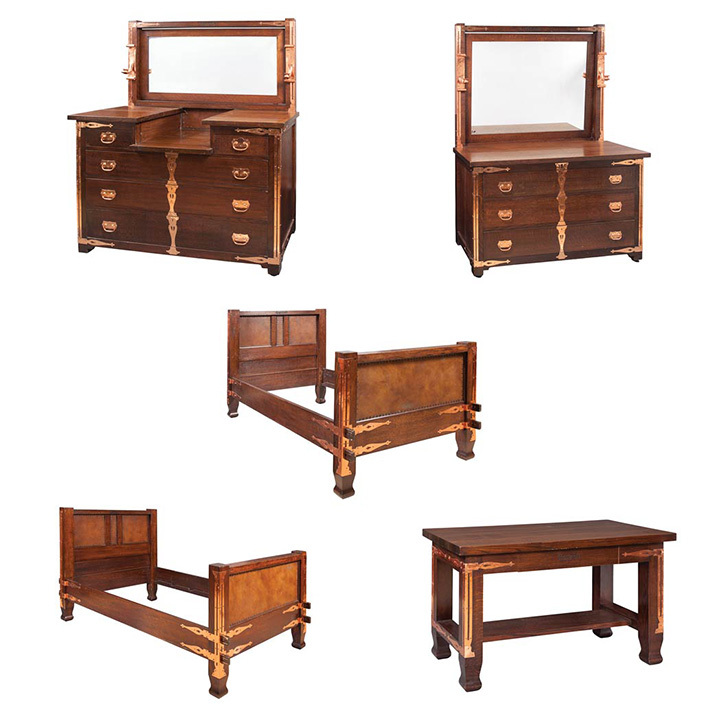 Because of the extreme interest in all of the items, the auction plodded along, lasting 18 hours, 31 minutes, finally ending at 5:31 AM, the next day. 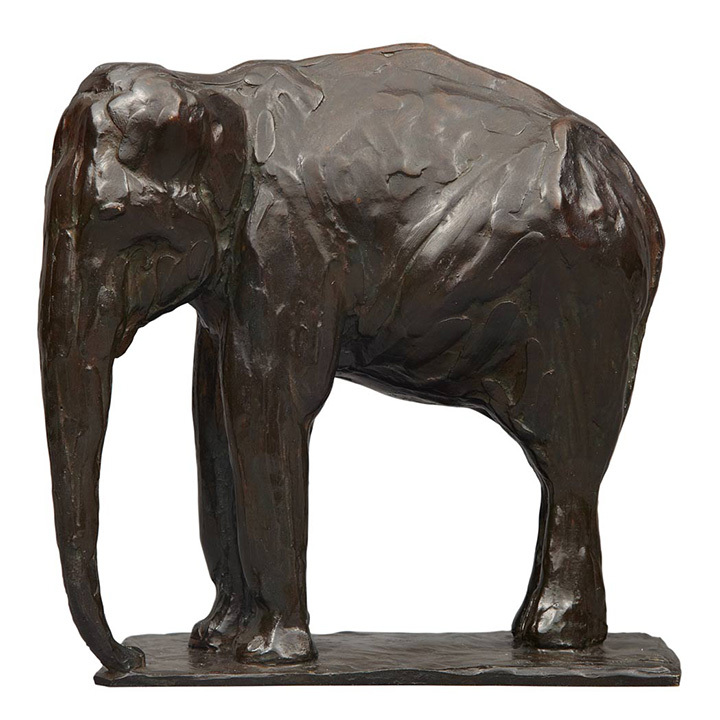 That’s approximately 1½ minutes for each of the 723 lots — too many lots for a one-day auction. It should have been a two-day auction, but that’s water under the bridge. 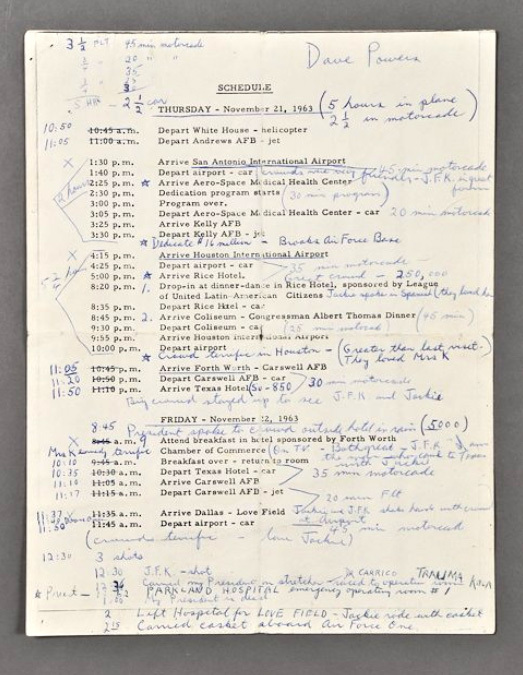 Lot #483 was an important, historical, 4-page, typewritten itinerary of the two days leading up to the assassination of President Kennedy. It flew past the pre-sale estimate of $2,500 – $5,000, to realize $76,050, including buyer’s premium. For the complete results of the sale, click on the following link. McInnis JFK memorabilia results. My goal is to publish new posts twice a week — Mondays and Thursdays. However, if you don’t see a new post on Thursday, it’s because I was too busy, so please look for a new one the following Monday. 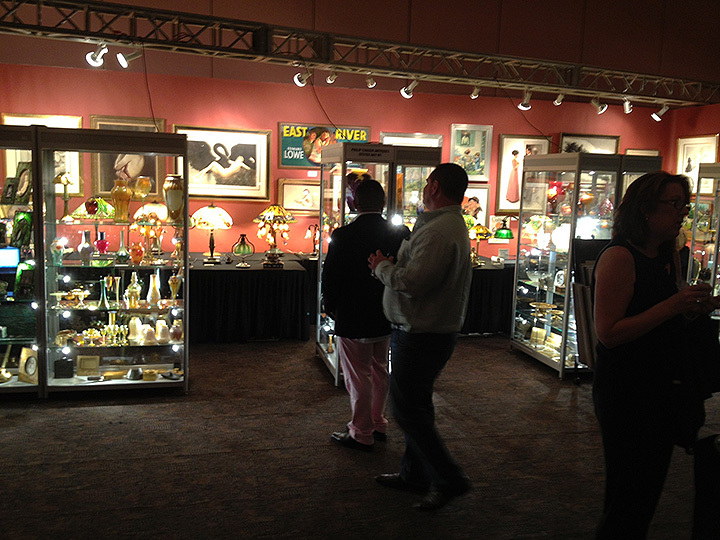 There won’t be a Thursday blog this week, as the Palm Beach Modernism show ended on Monday. 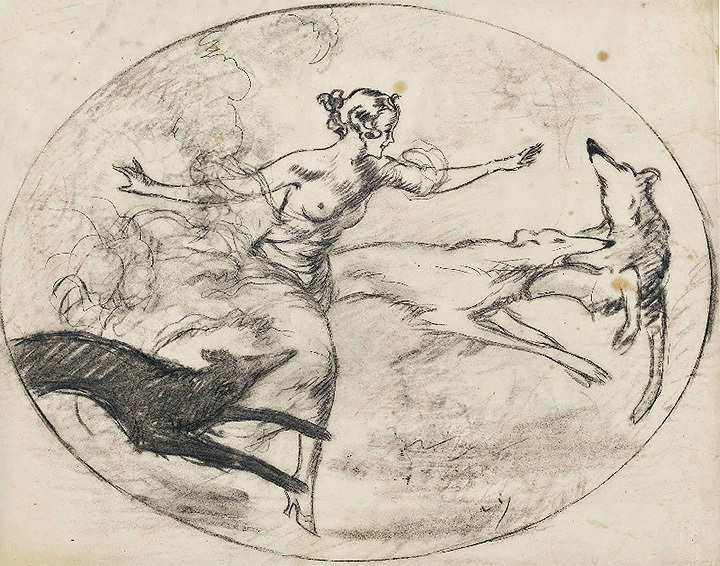 This week’s blog will be a contemporaneous, day by day, accounting of the show. It’s Friday night, 7:15 PM, as I write the first chapter. The preview party is going on now. There’s a nice crowd milling about, having a good time, conversing, eating, drinking. There have been a few questions, but no sales. The odds I’ll sell anything tonight are slim to none. The crowd is younger than at most antique shows. It’s wonderful, but often young people don’t have the means to buy what they like. Saturday, 10:05 AM. The show is just opening to the public. I have to eat my hat. I made a major sale during the preview party. Even a blind pig finds an acorn once in a while. I still hate preview parties, but I wouldn’t mind having a few key sales change my mind. Saturday, 2:30 PM. Lots of people, lots of questions, little action. Made one sale, but not much else is happening. Hope some of the “be-backs” come back. Saturday, 5:10 PM. Overall, it’s been a disappointing day. First of all there was only one sale. 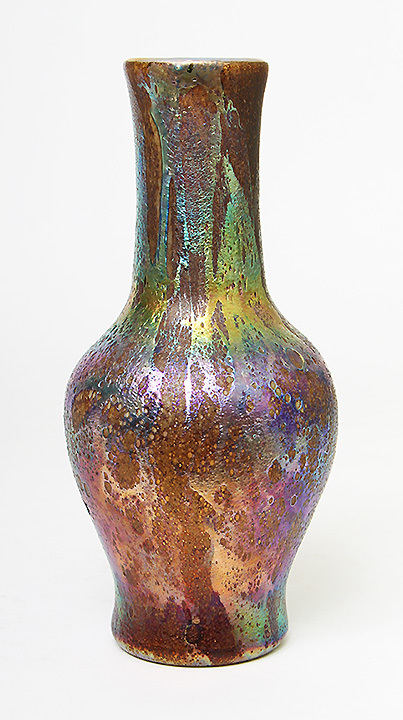 Second of all, I had a handshake agreement to purchase a Tiffany Studios lamp base from a person who came to the show. He slunk out of the show without a word, never completing the sale. No honor. Sunday, 12:00 PM. As of this moment, attendance is much lighter. Nothing is going on. How many games of Spider Solitaire can I play? Hope it gets better later in the day. Sunday, 2:30 PM. Attendance picked up some. Made one small sale to a gentleman visiting from Indiana. Some people showed genuine interest and were very complimentary, but unfortunately I can’t take that to the bank. Sunday, 4:15 PM. 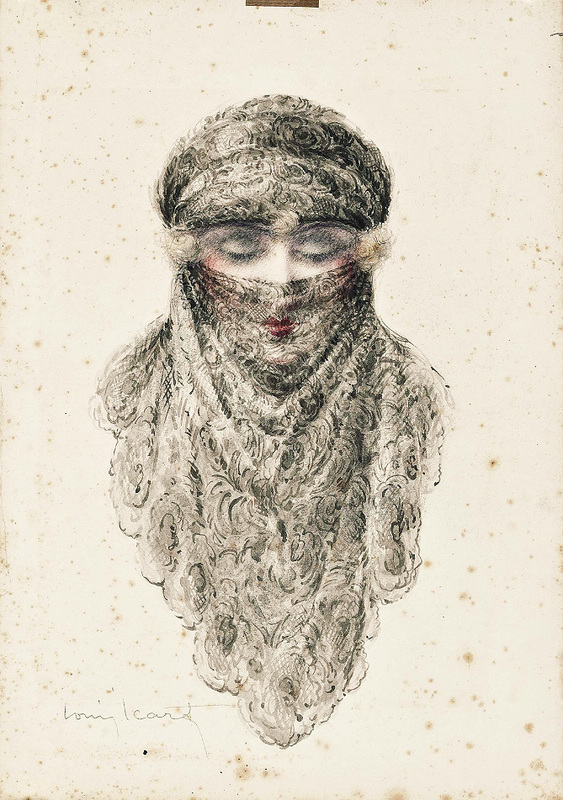 The show closes today at 5 PM. One small sale for the whole day. Doesn’t look like we’ll return to California for any shows. It’s too risky to exhibit in California when the expenses to cross the country are high and going up. Too bad. I wanted this show to work for us. The show is lovely and the town is pleasant, but that doesn’t compensate for insufficient business. Maybe something dramatic will happen tomorrow, but it’s highly unlikely. Monday, 11:15 AM. Attendance is very light, as to be expected on a Monday morning. Wish the show had closed yesterday, like most antique shows. It will be nothing short of a miracle if we sell something of significance today. Very much looking forward to going home after a month on the road. Monday, 2 PM. Attendance has been light most of the day, with an occasional surge. There have been a few questions, but no business. Unfortunately, it’s what I expected. Monday, 4 PM. The show is over. We didn’t sell anything today. The show wasn’t a disaster, as one of the three sales we made for the entire show was a good one. The results would have been fine if the show were local. So, goodbye California. We’ll come to visit, but not to exhibit at antique shows. My goal is to publish new posts twice a week — Mondays and Thursdays. However, if you don’t see a new post on Thursday, it’s because I was too busy, so please look for a new one the following Monday. 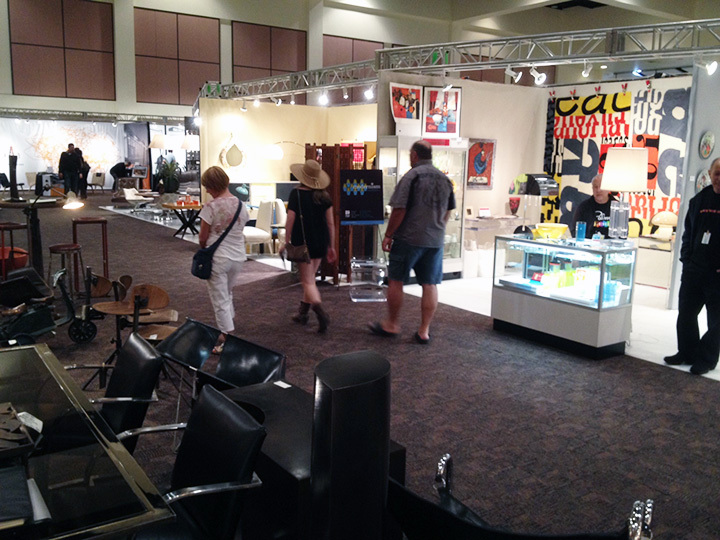 This Monday’s blog will be postponed until Tuesday, as the Palm Beach Modernism show ends on Monday. 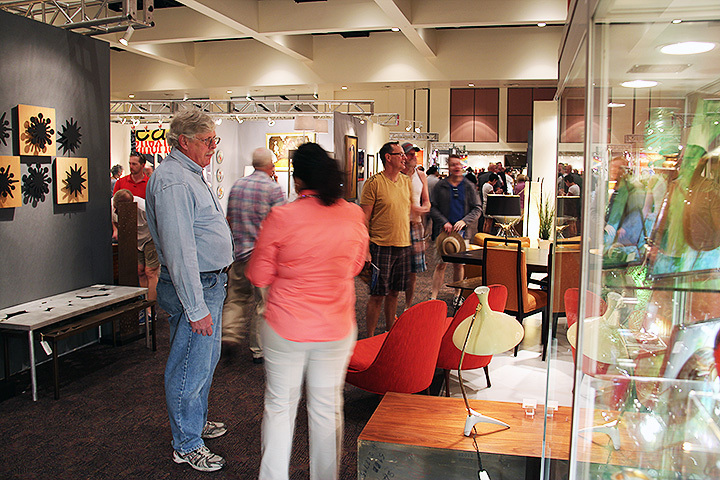 The Palm Springs Modernism Show opens to the public this Saturday, February 16, 2013, at 10 AM and continues until Monday at 4 PM. Don’t understand why the show ends on a Monday, but it is what it is. I prefer a show to end on a Sunday, but I don’t have much say in the matter. We decided to exhibit in Palm Springs, CA, this year. We had a choice of three shows that run the same week — one in Palm Beach, FL, one in Asheville, NC, and the one we chose, in Palm Springs, CA. We exhibited previously in Palm Beach and Asheville, both with mixed results. So we gambled that a show in Palm Springs might be the right choice. Don’t have a clue if it will go well or not, so tune in on Tuesday for the results. If the results are fair to moderate, we won’t be back, as the expenses to cross the country are considerable. If the show goes really well, we’ll be back. If you’re from Southern California, you can directly affect our decision. 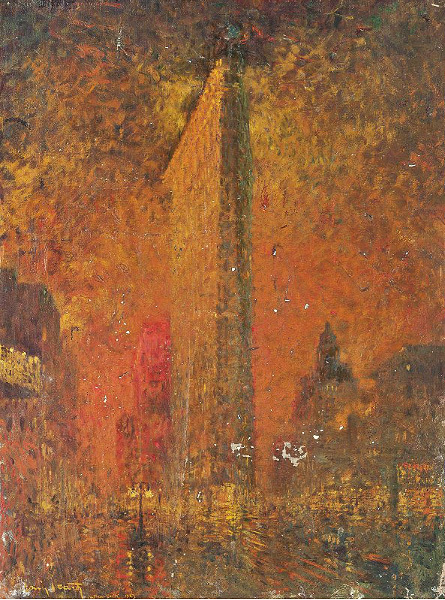 Please visit the show and consider a purchase. I’d much prefer to write a glowing review, than not. 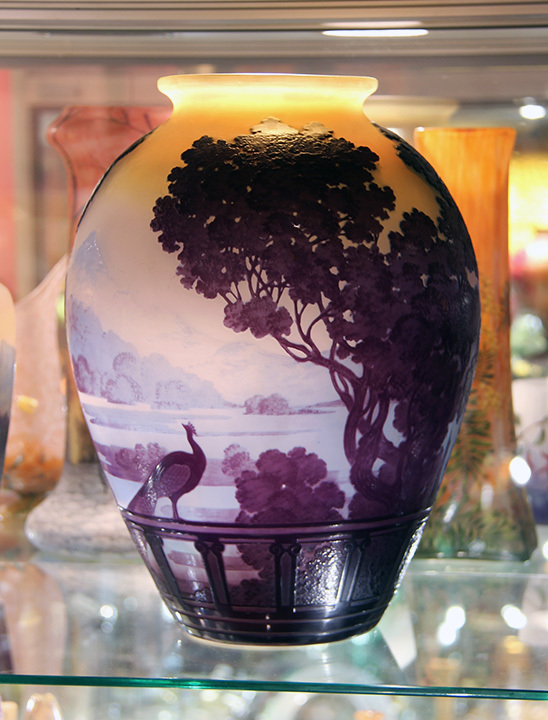 I’m bringing a fantastic selection of Tiffany lamps and glass, French cameo glass by Gallé and Daum, and a great selection of original Louis Icart etchings. 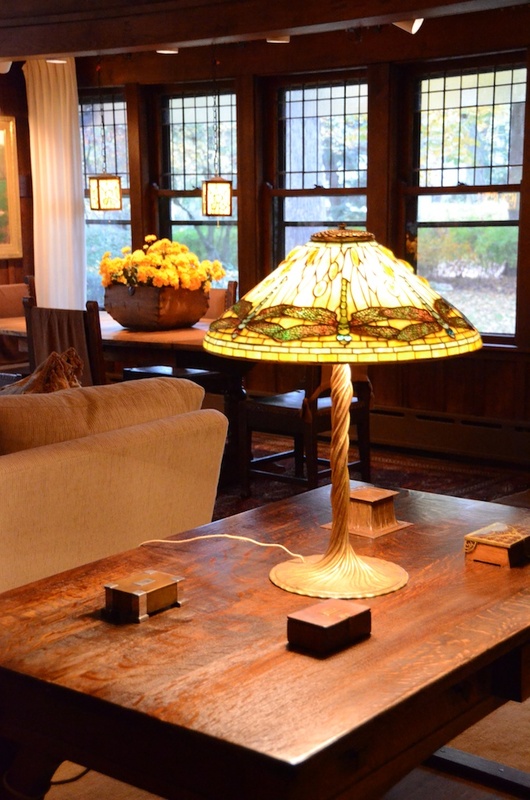 My large selection of original Tiffany Studios lamps includes three Dragonfly lamps.